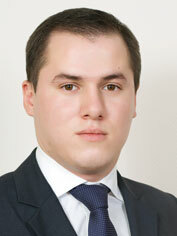 2013 was a very active year for the Ukrainian pharmaceutical industry in the legislative way. A lot of changes have been made to Ukrainian pharmaceutical legislation in order to harmonize its regulations with the legislation of the European Union. Talking of changes in the pharmaceutical legislation of Ukraine which were made or came into force during 2013, it should be mentioned first of all that the Decree of the Ministry of Health of Ukraine of 27 December 2012, No.1130 On Approval of the Procedure for Medicinal Products Manufacturing Compliance with Good Manufacturing Practice Requirements came into effect on 8 January 2013. Verification of medicinal products manufacturing compliance with Good Manufacturing Practice (hereinafter — GMP) requirements applicable in Ukraine has been implemented with the aim of proving that medicinal products are constantly manufactured and controlled under quality standards based on their intended use and as per the requirements of master file (registration dossier) or specification for these products. Verification of medicinal products manufacturing compliance with GMP requirements for residents and non-residents is performed by the State Administration of Ukraine on Medicinal Products by evaluating the documents submitted as per this Procedure and inspecting the manufacturing facilities in cases as required by this Procedure. Besides, starting from 15 February 2013, the importing of medicinal products in Ukraine a copy of the document that certifies medicinal product compliance with GMP requirements issued by the State Administration of Ukraine requires on Medicinal Products should be presented. An appropriate requirement is set out in the Regulation of the Cabinet of Ministers of Ukraine of 8 August 2012 under No.793 On Making Amendments to the Procedure for State Quality Control of Medicinal Products Imported to Ukraine. The Act of Ukraine on Amendments to Certain Acts of Ukraine Regarding Import Licensing of Medicinal Products and Definition of the Term Active Pharmaceutical Ingredient (API) of 4 July 2012, No.5038-VI was made effective starting from 1 March 2013. According to this Act it is possible to import medicinal products into Ukraine from 1 March 2013 provided that only the appropriate license is available. During 2013 there were many disputes over this Act and over licensing conditions to be applied to importers and over an authority to perform such licensing. These issues were finally resolved in February of this year, particularly with the Regulation of the Cabinet of Ministers of Ukraine of 11 February 2013, No.103, which conferred licensing powers to the State Administration of Ukraine on Medicinal Products, as well as with the Decree of the Ministry of Health of 20 February 2013, No.143, which adopted Licensing Conditions for medicinal products import activities. According to the Decree of the Ministry of Health of 13 February 2013, No.112 it was also enacted that from 1 December 2013 a provision shall come into force under which an importer’s master file (importer’s dossier) is to be submitted along with a license application for medicinal product import. An importer’s master file should contain the description of almost all activity areas of an importing company. A simplified procedure for issuing licenses on medicinal products import and Licensing Conditions execution control existed in Ukraine until 1 December 2013, when the Decree of the Ministry of Health of Ukraine as of 30 May 2013, No.453 that made amendments into the Licensing Conditions for medicinal product import economic activity should have come into force. Nevertheless, due to the concern of international pharmaceutical manufacturers relating to implementation of more severe licensing conditions for the import of medicinal products, that potentially can set certain obstacles for the import of medicinal products, in case they will be implemented in a shorter period of time, on 8 November 2013 the Ukrainian Health Ministry cancelled its Decree No.453, and issued Decree No.960. In accordance with Decree No.960, beginning from 1 December 2013 medicinal products import shall be made if there is an importer’s master file and in compliance with GMP requirements effective in Ukraine. Furthermore, the requirements regarding personnel, storage of medicinal products, quality control, reclamation and recall of products also entered into force. Additionally, on 1 December 2013 the Decree of the Ukrainian Health Ministry of 26 September 2013 No.835 On Approving the Procedure for Monitoring Compliance with the Licensing Conditions for Medicinal Product Import Economic Activity came into force. On 16 April 2013, an updated Procedure on the evaluation of registration materials for medicinal products submitted for state registration (re-registration), as well as on evaluation of materials to make changes to registration materials during marketing authorization validity as amended by the Decree of the Ministry of Health of Ukraine of 4 January 2013, No.3 came into force. Specifically it is required by the updated Procedure that a master file for medicinal product registration be submitted only as a common technical document (CTD). At the same time, the making of amendments that were not approved earlier into the master file materials for a medicinal product during its renewal is not allowed by the Procedure. In other words, an applicant may only submit an application for state re-registration of medicinal product in a prescribed form, in which all approved changes or pending changes should be stated. Changes to the master file’s materials may be made during state re-registration of medicinal product only if the State Enterprise State Expert Centre of the Ministry of Health of Ukraine shall deem it necessary to make such additional changes at an evaluation stage. Furthermore, on 28 April 2013 the Act of Ukraine of 4 April 2013 No.183-VII On Making Amendments into the Customs Code of Ukraine and Certain other Acts of Ukraine came into force, which is the basis for making amendments to the On Medicinal Products Act of Ukraine. It is prescribed by the Act that the import of medicinal products into the customs territory of Ukraine is controlled by the State Administration of Ukraine on Medicinal Products. All medicinal products that are imported into the customs territory of Ukraine for the purpose of their further sale (trade) or use in the finished medicinal product manufacturing are subject to state quality control. State quality control of imported medicinal products is carried out before or after their release into free circulation on Ukrainian customs territory. The procedure for state quality control of medicinal products when importing them into Ukrainian customs territory is established by the Health Ministry, and the procedure for state quality control of medicinal products released for free circulation on Ukrainian customs territory is established by the Cabinet of Ministers of Ukraine. The issue of importing unregistered medicinal products into Ukrainian customs territory is additionally regulated by the Act. From now on, it is allowed to transit through Ukrainian territory or place for customs regulations the medicinal product stock with further re-export in a manner as established by the Customs Code of Ukraine. It is allowed to import into Ukrainian customs territory for placement for customs regulations only those medicinal products that are registered in a manufacturer’s country, that are accompanied by a quality certificate, import of which into Ukraine’s customs territory does not conflict with the provisions of the EU Convention on Counterfeiting of Medical Products and Similar Crimes Involving Threats to Public Health (the Medicrime Convention). In so doing, Ukraine took on a function to control the origin of medicinal products from other countries being transited through its territory within the framework of international obligations of the Medicrime Convention member state. It is worth mentioning that from 18 March 2013 Ukraine became a full member of the European Pharmacopeia under a decision of the Council of Europe. I would like to remind you that on 20 November 2012 the On Ukraine’s Accession to the Convention on the Elaboration of the European Pharmacopeia as Amended by the Protocol thereto Act of Ukraine of 16 October 2012, No.5441-VI came into force. By way of conclusion, I would like to point out that all aforementioned developments and changes in Ukrainian pharmaceutical legislation as well as accession to the European Pharmacopeia should be viewed as progressive ones as they are aimed at supplying a patient with high qualitative, low-cost and effective medicinal products.